Intensify your meditation with the sweet smelling fragrance of the white gardenia blossom or simply savor this enchanting aroma that soothes and calms your nervous system. 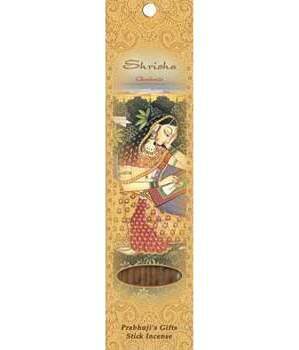 Gardenia's anti-depressant and more subtle aphrodisiac properties may make themselves known as the fragrance " one of Sri Radha's many names Shrisha who possesses the highest sentiment of love " surrounds your space. Radha's fragrant bodily aroma always pleases her eternal consort Sri Krishna.